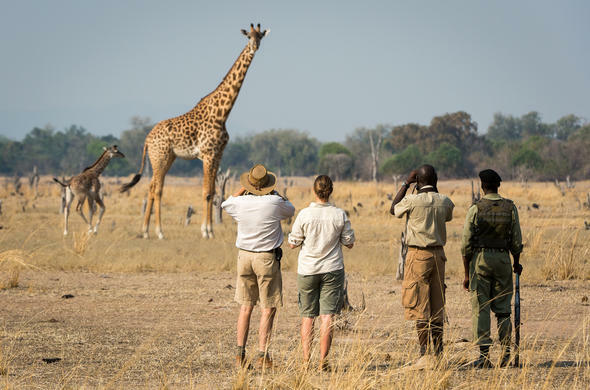 The camp is situated in South Luangwe, Zambia, an area renowned for its excellent game viewing and prolific bird life. Nsefu Camp is situated within the Nsefu Sector in South Luangwa, Zambia. This sector of the South Luangwa National Park is rich in African game and bird life. Guests staying at Nsefu Camp can enjoy the beautiful views over the ebony groves and lagoon systems. The nearby salt pans in the Nsefu Sector in South Luangwa, Zambia, provides an excellent breeding ground for crowned canes. The remote setting of Nsefu Camp makes it ideal for game viewing in a tranquil environment.